The same can be done with CSS files for pages, you can select on which pages the CSS file should be called. Moreover, you can create your own custom JS and CSS directly in the plugin and associate it with the selected pages only. 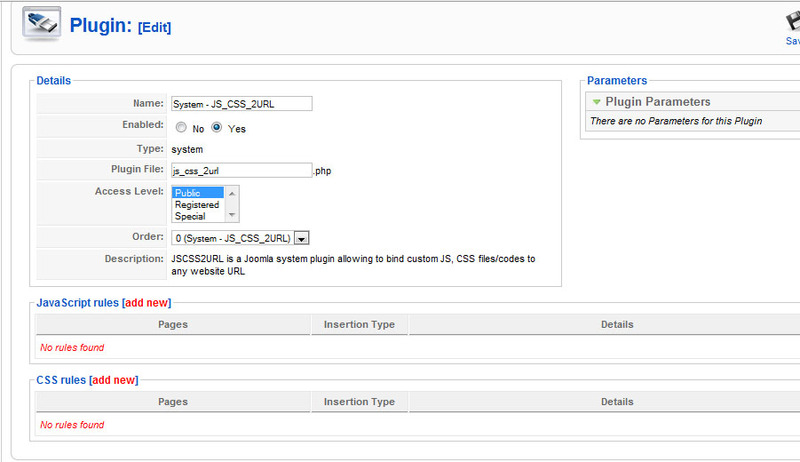 Select Extensions -> Plugin Manager, find it in the list of plug-ins (System - JS_CSS_2URL) and enable. Click the plugin’s name to open it. All settings are added inside the plugin. There are two areas – to add JS and to add CSS rules. To add a new rule press “add new” link. All except listed. 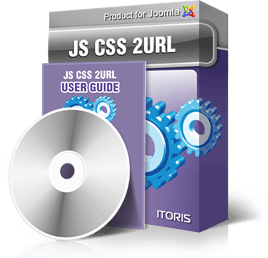 All other pages except for the ones you will enter will have the JS code. Insert link(s) to JS file(s). Enter the URL’s of the JS code files. Insert code. 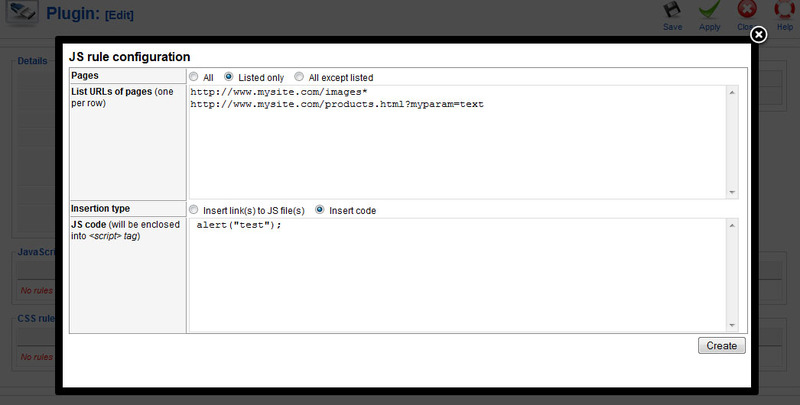 Enter the code directly into the area, it will be called in the pages you have selected. The rule to CSS area is added in the same way.